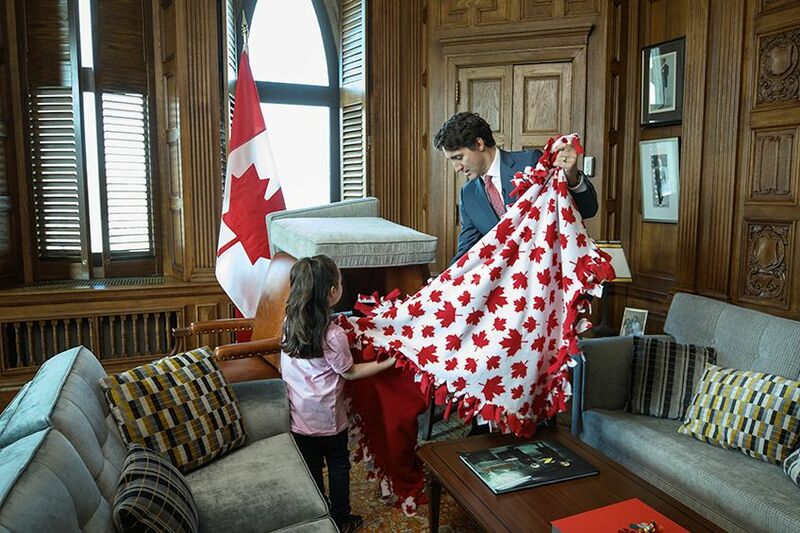 Justin Trudeau showed a little girl what being Prime Minister of a nation is really about, by helping her build a fort in his office on Parliament Hill. The Star Wars sock-wearing Canadian Prime Minister, Justin Trudeau, gave a little girl the opportunity of a lifetime: To walk in the shoes of the leader of a country for a day. And what did they end up doing? Building a fort, of course. And before you start calling ‘Pics or it didn’t happen’, Twitter user @RevDaniel shared the playful scenes for all to see, courtesy of Adam Scotti, Trudeau’s official photographer. 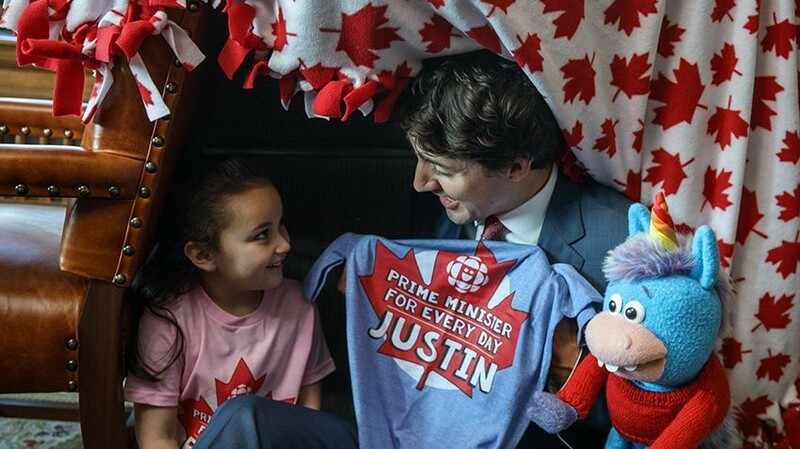 5-year-old Bella from Manitoba won a CBC Kids contest to spend some time with her PM, by offering her thoughts on what she’d do with all that power for one day. As prime minster, I would make sure everyone has homes and everyone is safe. I would hug everyone. I would make sure animals and the world around us are kept safe. I would make sure every Canadian is healthy. I would show kindness to everyone. 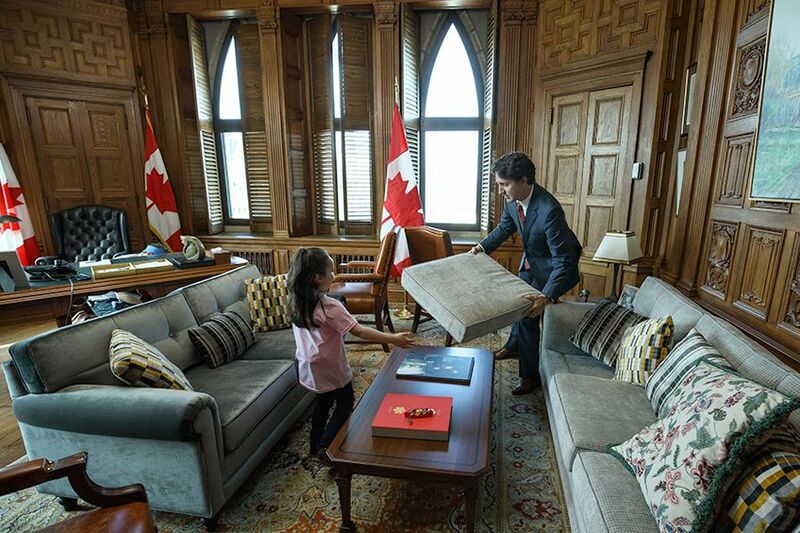 In the evidently staged – but nonetheless adorable – photo opportunity, Trudeau showed off his transferable skills and the fine art of fort-building. Starting with the foundations, for which the resourceful pair utilised the Prime Ministers plush and inoffensively neutral beige sofa – the fort took shape with the help of a big maple leaf-adorned blanket. The International Day of the Girl is an opportunity to celebrate the empowerment of girls and young women, at home and around the world, in every sphere locally and globally. It is also a day to draw attention to the unique challenges that girls still face. While the international community has made important progress in improving the lives of girls and young women, there is still significant work to be done. Far too many girls and young women are still denied basic human rights, including education, health care and personal security. Far too many succumb to preventable diseases or are held back from pursuing their dreams. Between Bella and Justin, the future of Canada is looking so rosy and fortuitous.